Here are our attachments that fit our 2" front mount receiver hitches. 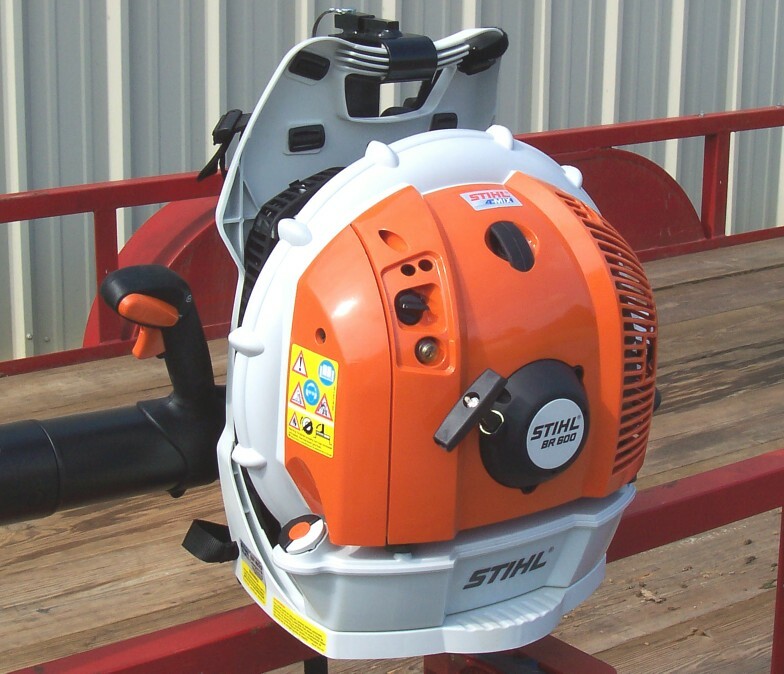 Currently we have a backpack blower attachment, an attachment designed for the Little Wonder walk behind blower, and a rack that holds most 15-26 Gallon Spot and Boom Sprayers. 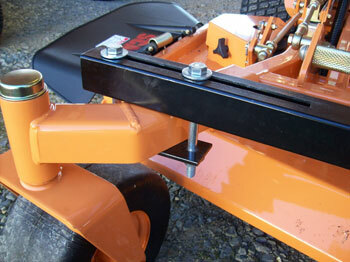 Our front mount receiver hitches mount easily and quickly without any modification to your machine at all. It simply clamps to the frame of your front swivel wheels on your ZTR machine. 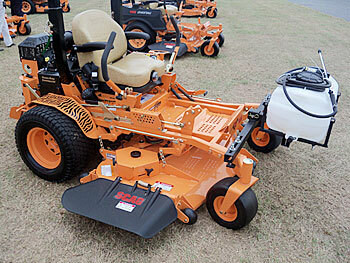 Our hitch system can expand the uses of your machine and make your work easier, faster, and more profitable. 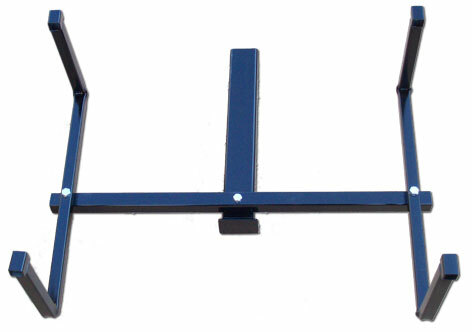 You can even insert a standard towing receiver in our hitch to easily move your bass boat, utility trailer, log splitter or whatever else you need to. 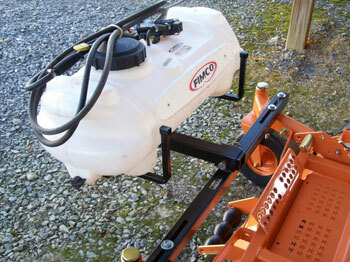 The receiver hitch and attachments can be purchased separately or as a combination. This is one attachment system you don't want to be without! 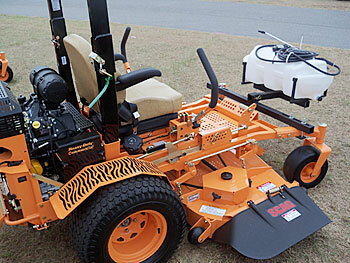 Here is a picture of our front mount 2" receiver hitch mounted on a Scag Turf Tiger. 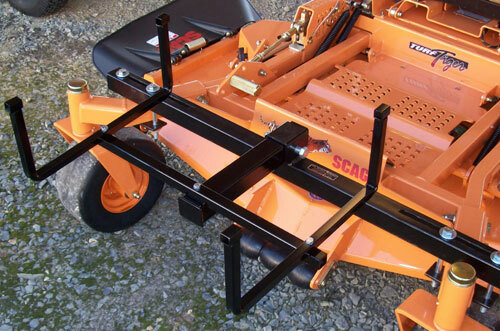 A close up photo shows how our system simply clamps to the frame on the front of your machine with the included hardware package. 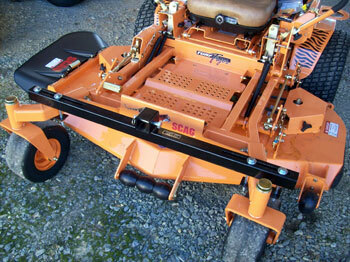 The hitch is made of two inch 14 gauge steel tube and is strong enough for demanding day to day commercial use. 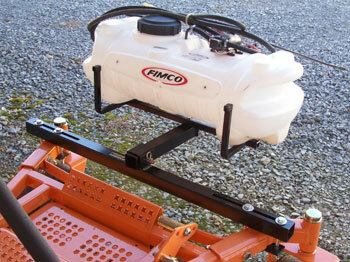 With our 2" Front Mount Receiver Hitch and Sprayer attachment combo you can mount your spot or boom sprayer right on the front of your zero turn quickly and easily.